For those of you who know the story of Terry Callier you may want to read on just to refresh your memories as to what a great tale it is. For those of you who are not aware of Mr Callier then we implore you to read this and explore his work further. He’s up there in the VoEA top five soul artists of all-time and is also a very unassuming, modest but fiercely talented chap too. 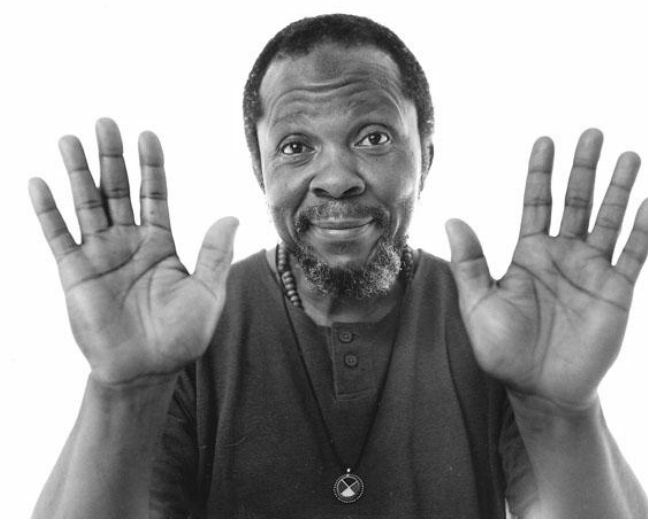 Terry Callier was born and bred in Chicago and during his early years knocked about with Curtis Mayfield, Major Lance and Jerry Butler. He began singing in doo-wop groups at the age of 12 and his first break came in 1962 at the age of seventeen when he auditioned for Chess Records and recorded the classic ‘Look at Me Now’. This became a minor hit in the US and has since become a big sound on the Northern Soul scene and because of its rarity in the UK goes for around £500 on original. As a result of this minor hit Leonard Chess (the founder of Chess Records) invited Callier to go on a US wide Chess Records tour with Muddy Waters and Etta James but unfortunately Callier’s mum wasn’t quite so enthusiastic and stopped him going. Undeterred Callier continued on to study at college in Chicago and whilst there performed regular small gigs at cafes and local folk clubs including a residency at the fantastically named ‘Fickle Pickle’ café. 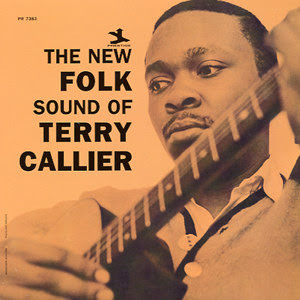 In 1964 Prestige Records, a label traditionally associated with jazz, was looking to create a folk music outlet and Callier came to the attention of record producer Samuel Charters with whom he recorded ‘The New Folk Sound of Terry Callier’ the following year. However once the recording was Charters went on a three year voyage of self-discovery to live with Yaki Indians in the North American desert and the album didn’t get released until 1968. Callier only found this out when his brother stumbled across a copy in a local antique shop. 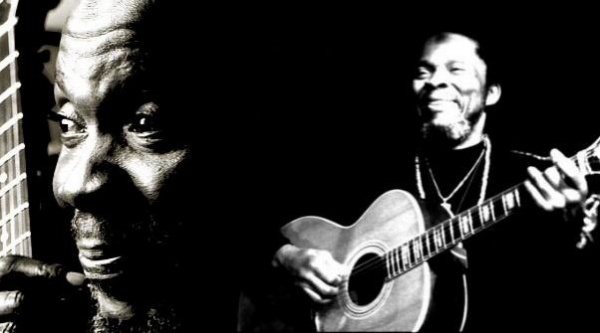 Having listened to his own album for the first time since recording it Callier decided to give the music industry a go and in 1970 joined the Chicago Songwriters Workshop established by his old friend Jerry Butler. He wrote a number of songs for Chess and its sister company Cadet Records and as a result of the success of these songs was awarded a contract with Cadet as a singer-songwriter. He wrote and recorded three albums with Charles Stepney as producer which were well-received critically but were never commercially successful. The style of these records very much in keeping with that of Stepney and Cadet Records was classed as ‘jazz-folk’. These three albums constitute a real purple patch for Callier recorded as they were over a three year period. ‘Occasional Rain’ was released in 1972, ‘What Color is Love’ in 1973 and ‘I Just Can’t Help Myself’ in 1974. Unfortunately the lack of commercial success saw Cadet drop Callier from their roster and Jerry Butler’s Chicago Songwriters Workshop closed its doors in 1976. Having been dropped by his label Callier took a job with his local council to give him some regular earnings and provide for his family but he never gave up his faith in music and the following year Callier signed for Elektra Records where he recorded two albums ‘Fire on Ice’ in 1978 and ‘Turn You to Love’ the year after. After the release of ‘Fire on Ice’ Callier joined up with Gil-Scott Heron for a nationwide US tour. 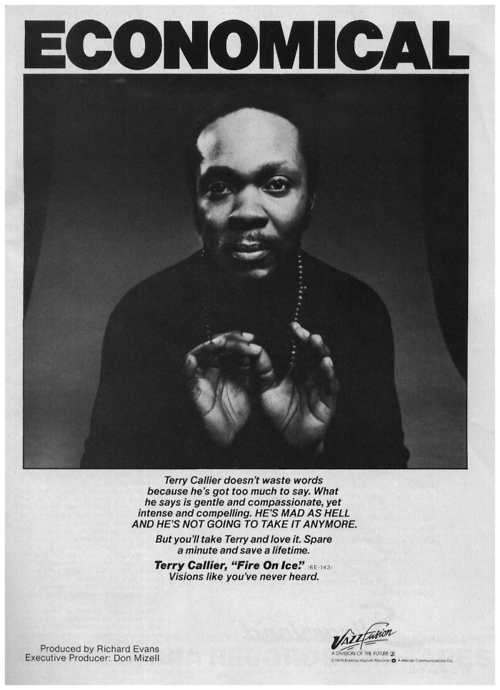 Terry Callier continued to perform, tour and record very occasionally but in 1983 he gained custody of his 12 year old daughter and took the decision to give up the unpredictability of the music business to give some stability for him and his daughter. He studied computer programming and secured a position with the University of Chicago as a programmer and also continued his studies to gain a degree in sociology. It seems that during this period Callier was happy to bring his daughter up and get on with his day-to-day work. He accepted that he’d had his time as a performer and never picked his guitar up for five years. Mean while in the UK ‘I Don’t Want to See Myself (Without You)’ a self-financed single, and quite possibly the last track Callier recorded before retiring from the music business, had been receiving massive attention on the British club scene. 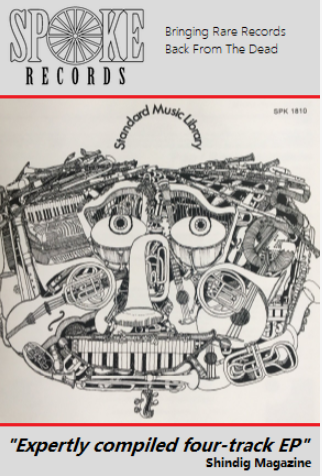 In 1991 Eddie Piller, head honcho at Acid Jazz records, decided to track Callier down so he could release the record on his label and having travelled to Chicago and trawled through all the Calliers in the phone book finally got hold of his man. 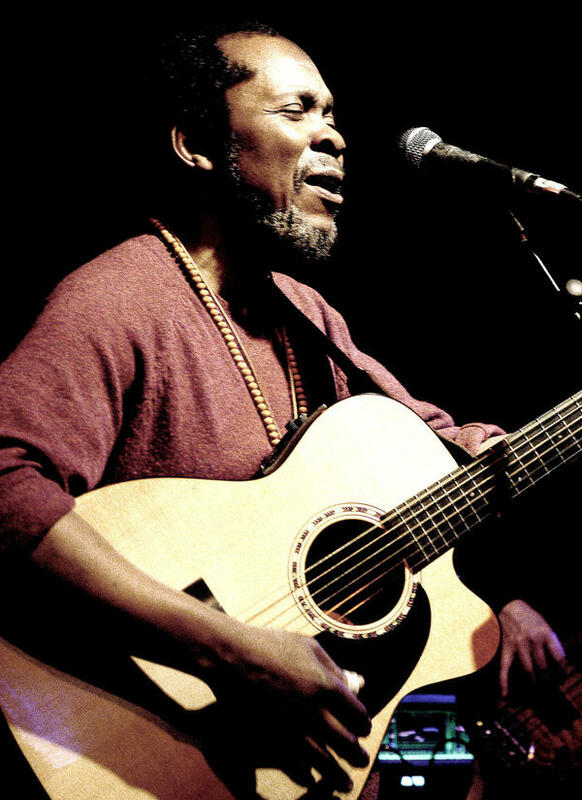 Very quickly Terry Callier was on a plane with his daughter over to the UK and performed his first gig at the 100 Club to a rapturous response. From then on Callier was making regular trips over to the UK when he could get leave from his day job and playing regularly at the Jazz Café as well as doing small UK tours. In 1997 he teamed up with Beth Orton to record two tracks for her ‘Best Bit’ EP and the following year recorded his first album for twenty years releasing ‘Timepeace’ on Verve which went on to receive the United Nations ‘Time for Peace’ award for outstanding artistic achievement contributing to world peace. Ironically it was only when he received this award and the news got out, that his employers at the University of Chicago found out about Callier’s extra-curricular activities, and after picking the award up in New York when he returned to work they gave him four hours to clear his desk. Since his unplanned comeback Callier has released six albums: ‘Timepeace’ (1998), ‘Lifetime’ (1999), ‘Alive’ (2001), ‘Speak Your Peace’ (2002), ‘Lookin’ Out’ (2004) and ‘Hidden Conversations’ (2009). 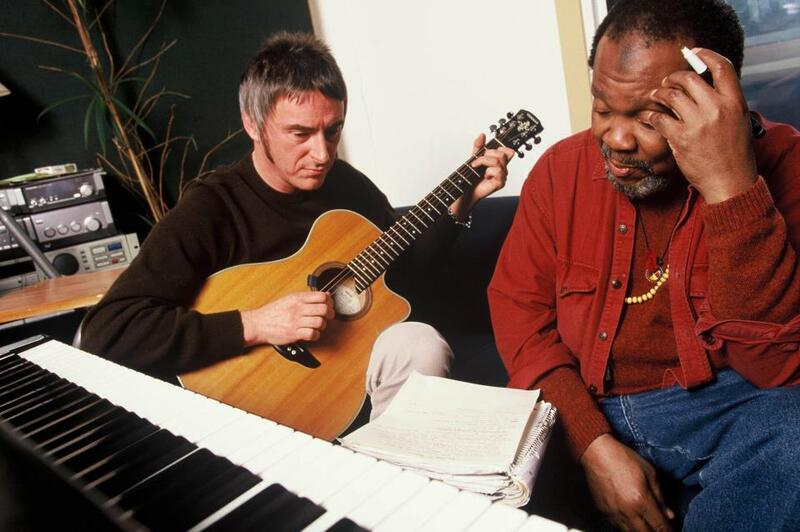 He has also collaborated with Paul Weller, Massive Attack,The Juju Orchestra, 4 Hero and the Kyoto Jazz Massive to name but a few. It seems of late he’s been taking a bit of time out to help look after his grandson and this reflects his laid back approach to his career. He’s never chased fame or fortune but has instead let nature take its course and believed in the old adage that things happen for a reason. 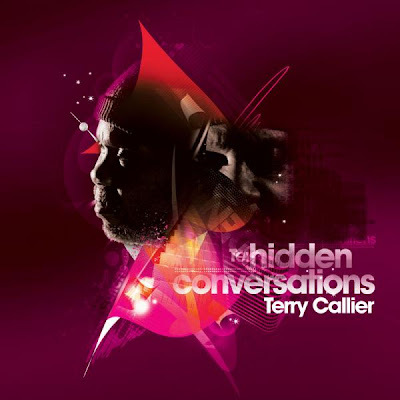 If you get the chance to catch Terry Callier on one of his occasional UK tours we can highly recommend him and if you want to check his recorded work out it is freely available on CD or vinyl in all good record shops. 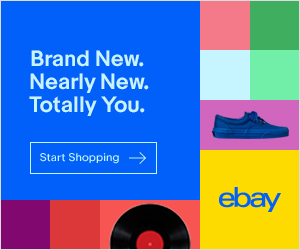 If you want to get hold of the originals that might not be quite so cheap or easy. In the meantime check out this interview with Terry Callier from a couple of years ago produced by Alistair Batey which gives you a few of his thoughts on life, music and family. Enjoy.